When Death row prisoners are taken on their last solitary walk in chains to the Gas chamber, the guards accompanying them shout aloud: “Dead Man walking…, Dead Man walking….” No one is clear on the origins of this ritual, but it is one of those chants that linger thick in the air, reverberating across lonely steeled corridors, reminding all inmates who lurk in their lonely cells counting their days, hours and minutes - that the end is near. Society has deemed them unfit to live anymore in their midst, and they wait: handcuffed, tied, emotionally drained, physically emaciated, intellectually paralyzed; and, in most cases, bemoaning their destiny and banishment -with an unspoken dread of complete annihilation that they imminently face. The Moral issues of ritually preparing a man for slaughter, over a period of months, or even years; and the agony of having an audience watch the sordid show with a Sandwich and Soda in hand and a gleam of satisfaction in their eyes the torment and retribution imposed on a social offender – have long been debated by Human rights and Judicial activists. I am sure, there can never be a logically conclusive answer to this question. If I am a bereaving parent, who has lost a teenage daughter or son to a brutality that is unspeakable: then, I may argue that it is justice to see the culprit suffer to death in front of me. But then that raises a question of how is this different from murder? What it takes for a man in a fit of rage or insanity to kill in a moment’s frenzy, is merely rehearsed all over again with clinical precision and studied deliberation in the precincts of execution center. So, which is more “moral” than the other? These are some of the fundamentally ambiguous issues that a “Death penalty” brings in its wake. It was Norman mailers brilliant novel “The Executioner’s song” published in 1979 that probably, for the first time, bought forth the inner conflict of a death roll candidate. The book was based on the real life of Gilmore, a convicted murderer, who pleaded that he be executed by a firing squad, than go through the laborious appeals process. He found a certain “dignity” in willing to die than face the agony of having to relive the past. Gilmore was one of the first to be judicially executed in 1976. 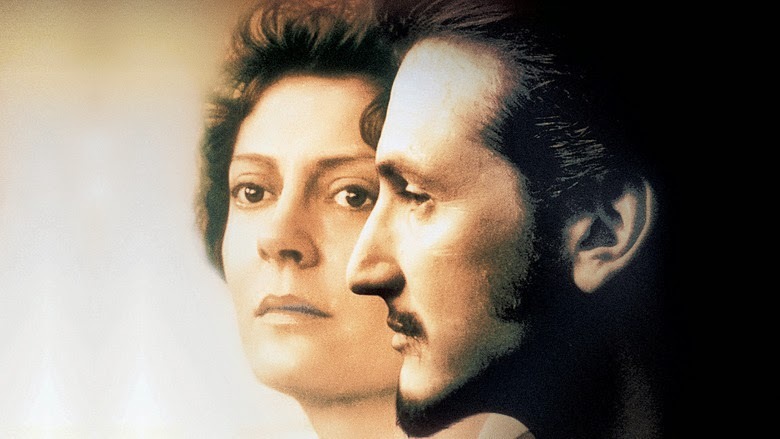 I, however, started writing this essay after watching the movie “Dead man walking” featuring Sean Penn and Susan Sarandon - A role that got her the Academy award. I am normally not affected by films. I watch them with a passive detachment. But this time around, I found myself emotionally moved and carried along to a realm where I became more of a participant, and less a spectator, in the tragic drama that was unfolding on screen. Sean Penn, as the death row candidate; and Susan, as a nun acting at his behest as his spiritual adviser. She brings out the inner essence of the futility in herding a man to his death, when there is nothing remains in him to “die”. The abnormal vengeance of bereaved parents- eating into their souls, cauterizing their existence; consumed by a grief that can only be assuaged by revenge; and the empathy of the Nun, who looks into the tortured soul of the murderer, feeling the pain of his estrangement and the fear of death that looms large in his eyes, bereft of everything else except the chains that bind his legs and arms; never ever going to see feel the sunlight on his skin, or the breeze wafting through his hair; condemned to a prison house that will host him in custody till his body withers and dies a forlorn death… What can be more painful than this painful laceration? Susan Sarandon’s masterly (almost unbelievable performance…) is an act that goes beyond conventional boundaries of emoting. Her frail countenance, large black eyes gropes deep into us, questioning our attitudes and thinking; her unfinished sentences are answered and completed in the deep recesses of our heart. The deep resonance of her Christian faith in absolving the past - to heal the prisoner and have him accept responsibility for his grievous deeds, without imposing divine sanctions or commandments, but just appealing to his better nature, urging him to feel the anguish caused to others by his irresponsible actions; and finally managing to break through walls of resistance to achieve a recompense that no death can ever bring - is a saga that will echo in me for a long time to come..
Nearly 143 countries across the Globe have removed Death penalty from their law books, and many more are contemplating on the futility of it. But I guess, there will never be a defining end to this debate. I have just watched the film and I am deeply moved by it. I hold a stronger opinion on the subject: no man should decide upon other person's life, neither a state should have a power to give fatal punishment for an individual. I live in the EU where there is moratorium over death penalty, and it is strange for me to acknowledge that in such a strong democracy like the USA, the majority of the states, it is still valid.